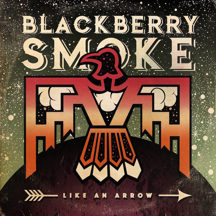 Already receiving acclaim, Rolling Stone recently premiered the album’s lead track, “Waiting For The Thunder,” praising, “Country-Rock’s most ferocious live band…Blackberry Smoke’s often spontaneous concerts evoke the spirit of the Allman Brothers Band.” Both “Waiting for the Thunder” and “Believe You Me” are available as instant downloads with each digital pre-order. Since their debut in 2001, the 5-piece band—consisting of Starr (lead vocals, guitar), Richard Turner (bass, vocals), Brit Turner (drums), Paul Jackson (guitar, vocals), and Brandon Still (keyboards)—has released four full-length studio albums, including their most recent, 2015’s Holding All the Roses, which debuted at #1 on the Billboard Country Albums chart and #8 on the Billboard Rock Albums chart. 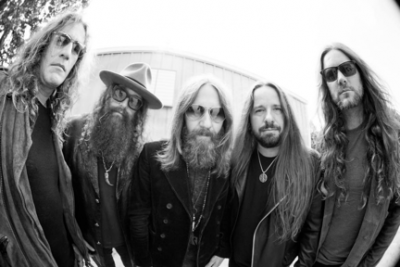 Beloved by fans, critics and fellow musicians, the band has performed on “ The Tonight Show” and “Conan” and received widespread praise from publications including The New York Times, Billboard, the Washington Post and American Songwriter.